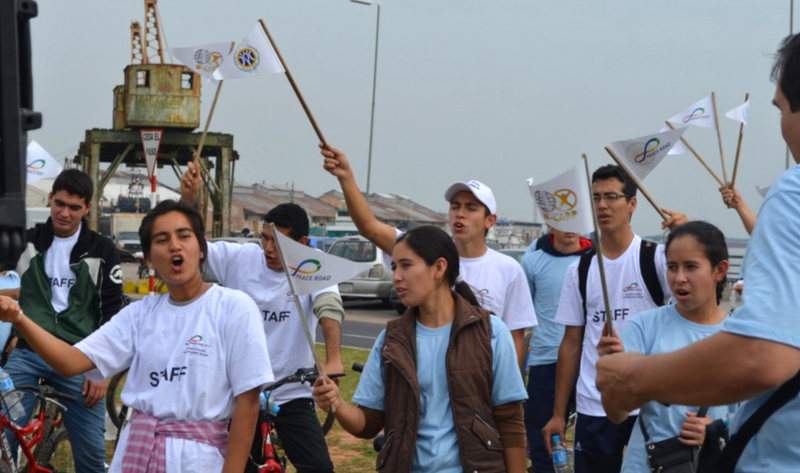 FFWPU Paraguay: On Sunday August 16, we successfully carried out Peace Road 2015 with the slogan “Uniting the world through gestures of peace” on the waterfront of Asuncion, opposite the Palace of Government. 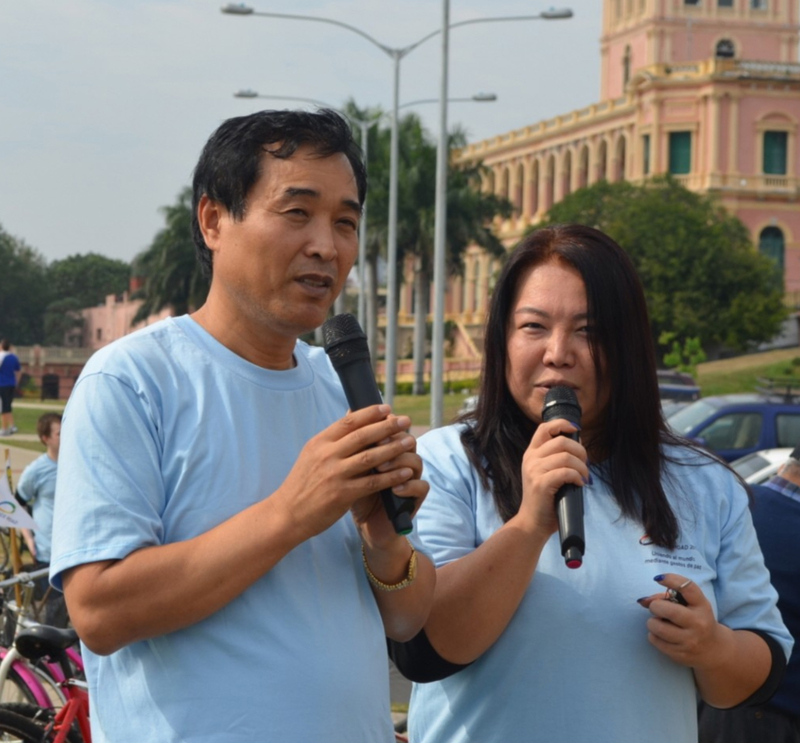 A major influx of cyclists and guests pedaled 7 km for world peace, adhering to the path of peace in the world. Peace Road is a global project of the Family Federation for World Peace and Unification to establish peace and prosperity in the world and to end the various problems that cause racial and religious conflicts around the world. The event stressed the importance of peaceful reunification of the only divided country in the world, the Koreas, and the need to create a park for world peace in the DMZ (demilitarized zone) which will no doubt guide and support the cooperation of the international community, as expressed by the organization directors. This route is based on the International Peace Highway, which Rev. Sun Myung Moon and wife proposed at the 10th International Conference on the Unity of the Sciences in 1981 as a way to implement world peace. The International Peace Highway has a vision to connect the world through a global transport network to end the various problems that cause disputes and conflicts. 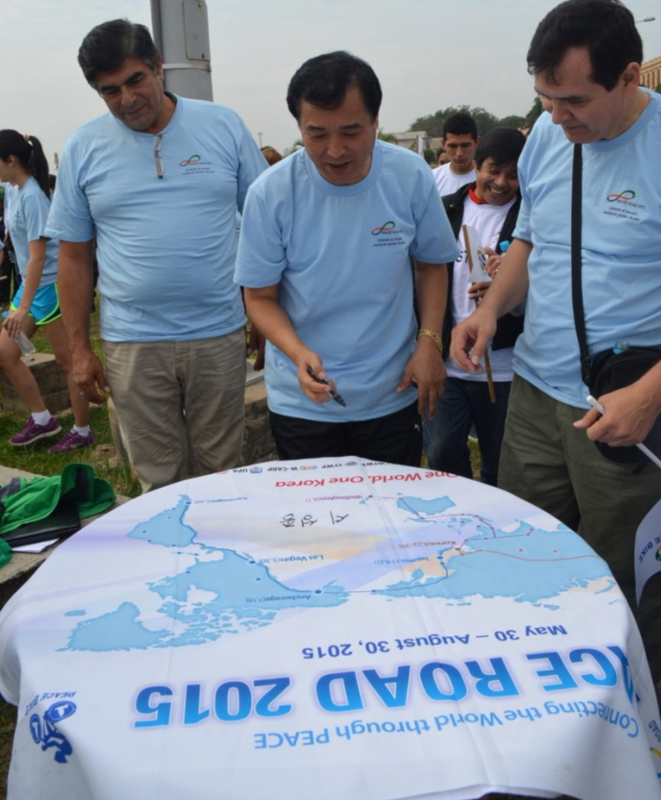 The initiative, Peace Road 2015, is being conducted in more than 120 nations around the world. 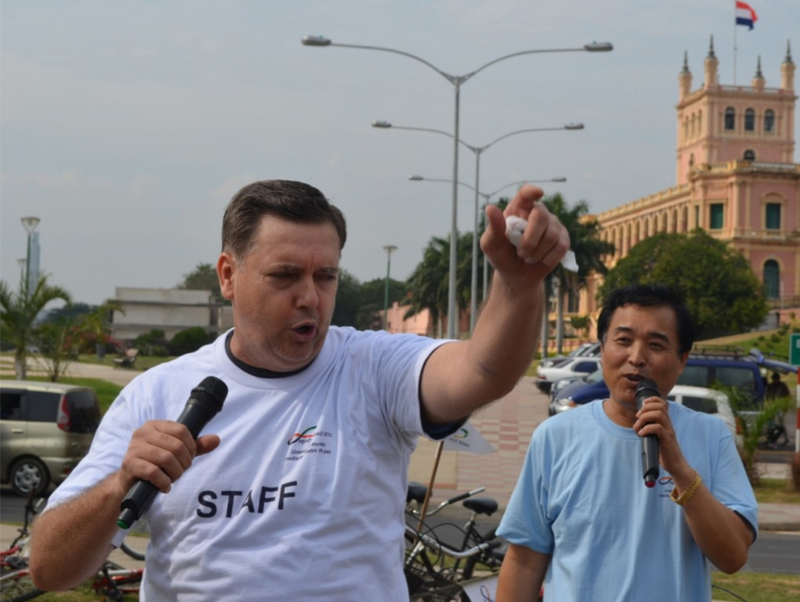 This is the first year that Paraguayan NGOs have participated. 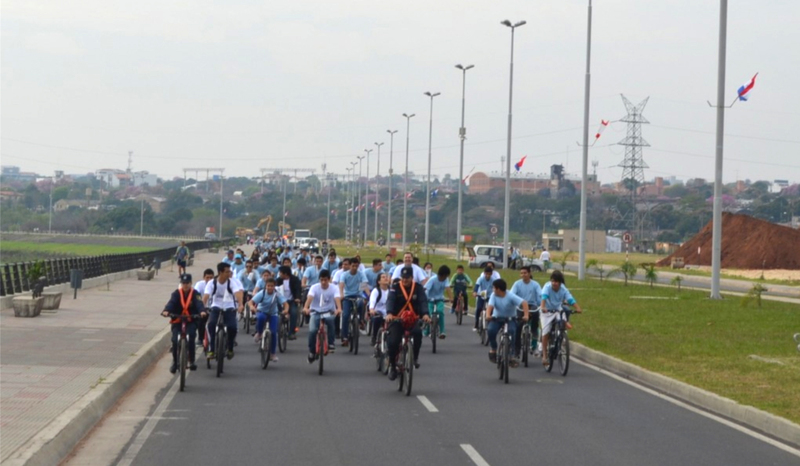 Peace Road Paraguay 2015 consisted of a day of members, sympathizers and guests of the Family Federation for World Peace and Unification (Paraguay chapter) pedaling bicycles. 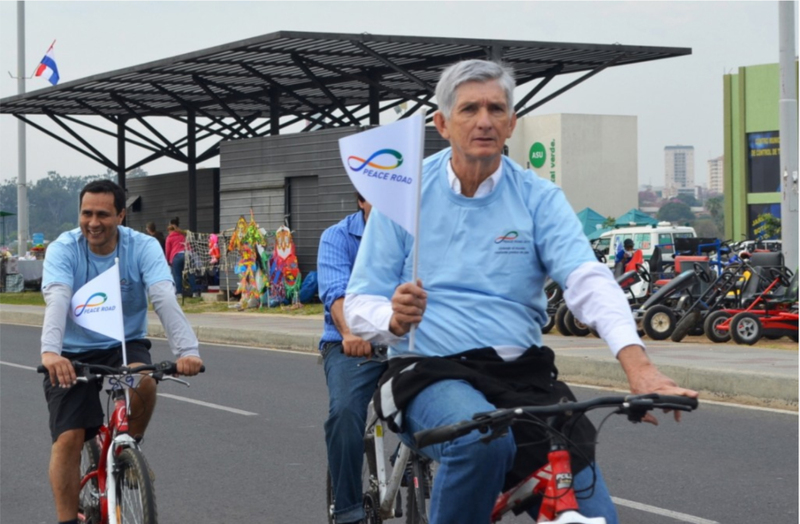 The activity also drew participation of the Ambassadors of Peace from the Universal Peace Federation and was open to all citizens who joined the event on the waterfront of the Paraguayan capital, which placed the South American country on the path of peace in the world.